Hand of Fate is ranked in the 73rd percentile of games scored on OpenCritic. 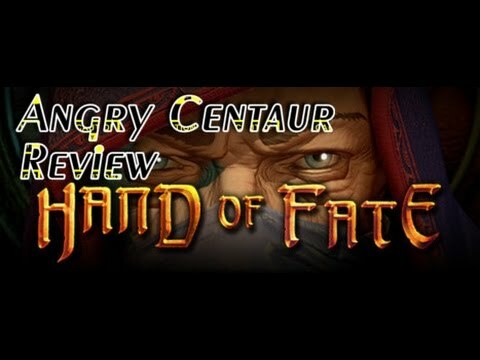 What makes Hand of Fate so very special is that it does very successfully bring one very human emotion to bear: hatred. I'm gonna give you what for, Australian Raistlin. 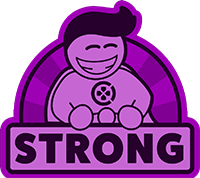 For a card game that ties in RPG elements as well as other features you can't help but notice that the team has found a winning mix. A perfect showcase for the power of indie developers; a deck building, roguelike, action RPG. Whether you're sitting down for a quick coffee break adventure, or an all-night binge, Hand of Fate delivers in spades. A brilliant mix of tabletop RPG, card game, deck building and real-time combat resulting in one of the best digital experiences of a physical board game. From the graphical detail of each piece of equipment, to the dialogue of The Dealer which rarely repeats itself, Hand of Fate pays attention to every last nook and cranny, carving out a niche all its own and bringing Defiant Development into the much-deserved spotlight. This is one conceptual experiment that thoroughly works and anyone who clamors for innovation in gaming needs to sit down at the table and play a hand. Hand of Fate is unique, offering an addictive and incredibly entertaining experience that anyone can enjoy. The best Deck Building video game around right now, as it works for veterans and casuals at the same time. The 'Hand of Fate' game from Defiant Development blends roguelike, deck-building, hack-and-slash, and tabletop elements for an extraordinarily unique journey. These gripes don't hurt the overall value of Hand of Fate though. It is a massively atmospheric title with an invigorating, original set of mechanics. It's the kind of creativity we like to see from indie game developers, and shame on the Australian Government for stifling that. Hand of Fate is a devastatingly addictive adventure game that mixes card collecting with fast-paced third-person action and board games. Although full of disparate ideas, the game is never confusing. It has a few technical issues and I would have preferred a way to continue, but none of that should keep you from experiencing Hand of Fate. Defiant has certainly dealt a full house with Hand of Fate. It blends together two genres into one package, with well-paced battles and lots to do on the collecting side of things. Its battles can be overwhelming and at times not as polished as they should be, but this game still deserves your attention, especially if you seek something new on the role-playing front. Take a gamble on this Hand. Hand of Fate is an interesting game that will certainly appeal to those who want to see how the card-based approach could be expanded in meaningful ways in the coming years. With a rough play time of 11 hours for the full story mode and an endless mode that can last even longer, for 20 bucks it's a pretty great deal for adventure fans and RPG players. I highly suggest picking Hand of Fate up. Aside from some problematic resource balancing and some unavoidable repetition, Hand of Fate is a clever game of risks and rewards that is well worth getting dealt into. Fortunately the missteps in the combat do little to impact my overall enjoyment of the Hand of Fate, and my spats of bad luck did little to deter me from playing further. I was hard pressed not to immediately start up a new session right after I would die, just to see. Just to check what the deck might have in store for me. Some sessions would last less than ten minutes before my health was drained. Some would nearly see the hour mark before a stupid decision sent me cavorting to my death. And sometimes, just sometimes, I would successfully make my way through to the boss and defeat it, each victory feeling like a true triumph and another chapter closed on a tale that I was creating for myself, all with a mysterious man in a mask and a deck of cards. Hand of Fate may not be that game that is shoving the visuals and story down your throat, but Defiant Development is allowing my imagination to be a part of their development team in order to help craft my own tales of failure, success, and luck, and that right there is a fantastic hand to me. With an incredible card-based dungeon delving system, RPG elements displayed through your deck, and an experience that gets significantly more challenging each time you play – Hand of Fate is game that well worth your time. For those that have played deck-building games or Dungeons & Dragons will know, sometimes it just comes down to the luck of the draw or the roll of the die. Some may find the game easy while others may just rage quit due to the unfairness of the draw. Those who stick with it will find a great combat system and well thought out mechanics that should have you coming back for hours on end. An intriguing, action-based card game that I would definitely recommend. Hand of Fate is an entertaining adventure that will impress tabletop fans and action RPG fans alike. The combat is solid, although a bit on the simple side, but the game provides a deeper challenge about halfway through the game. Earning tokens even when you lose helps with progression and every new card you gain can mean the difference. 'Hand of Fate' is the kind of deviously addictive game that doesn't come along very often. It is innovative, easy to learn, and rewarding. It is also complex and punishing, but keep in mind that you'll never lose any of your cards permanently - if the dealer defeats you, you only lose progress against the current boss, and can restart anytime. The deck-building is fiendish fun, and all those hours spent fighting in the 'Arkham' games pays real dividends here. The real-time combat lets the player make their own luck in many situations. At launch, 'Hand of Fate' has some noticeable problems on the technical side, but is still a great play, especially for card fans disappointed by this year's Magic. 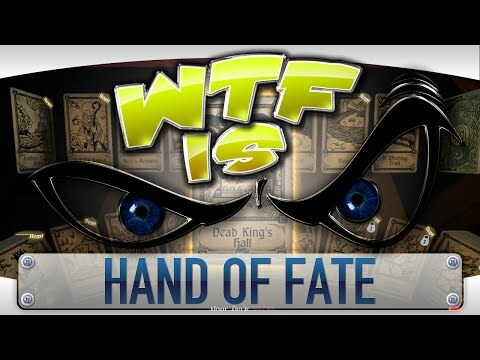 Although it's technically flawed in more than a few ways, Hand of Fate is an intriguing premise that delivers an old-fashioned choose-your-own-adventure style card game that's infinitely replayable. These gripes are incredibly minor though when you evaluate the rest of the game. Defiant has done a fantastic job of marrying together two very different flavours of game, presenting it a stylish package that feels one part adventure book, one part action brawler. The potential for expansions and sequels further down the line is immediately apparent so, hopefully, this won't be the last time we're dealt into Hand of Fate. While Hand of Fate can get aggravating, the novelty and personality oozing through it is undeniably alluring. The game's simple but satisfying combat and risk versus reward card game will have you coming back for one more hand, waiting for your luck to turn around. A fun, unconventional RPG with interesting new ideas that aren't entirely overshadowed by its repetitive nature and stale combat. It's not a bad game, but it's not the greatest either. It needed to really sit down and choose an identity and then excel in those areas. It was just average in all categories it tried reaching out to. Features solid gameplay and a very thematic story experience, but pales in comparison to other games of its type and playset. Hand of Fate blends various elements of role-playing games and card games into a single, satisfying romp. Hand of Fate wears its inspiration on its sleeve, but its deck has a few new surprises. Those looking for something new will find something to like here, but diehard dungeon crawlers might be better off waiting for the next edition. At the end of the day, Hand of Fate is a solid time waster because of it's sheer randomness offered by the decks you use. The more you play, the more cards you unlock, the more random the game becomes. Hand of Fate delivers a fun, atypical RPG experience that lets you act out the scenarios of a trading card game. Hand of Fate is a slightly flawed experience that will nonetheless please both card-based gamers and RPG fanatics with its fantastic blend of styles. Hand of Fate mixes deck-building with hack 'n slash dungeon crawling in a way that's fluid enough for casual fans to enjoy, but lacks the complexity for veterans of either genre to really sink their teeth into. Hand of Fate comes so close to being something really special – an unexpected concoction of genres and ideas that meshes together superbly to create a really fun experience that's both involving and rewarding, at least in short bursts. But, unfortunately, its potential is cut short by a lack of options and awkward third-person game segments that should really know better. Hand of Fate has been made to appeal to many players quickly, and that it does. The only concern that sticks between your teeth is one that this desire to make people feel like their being forced to work hard without actually pulling any work out of them will hamper Hand of Fate's scale for replayability. A good idea, which comes out as a bore due to repetition. Could further development improve this game further?